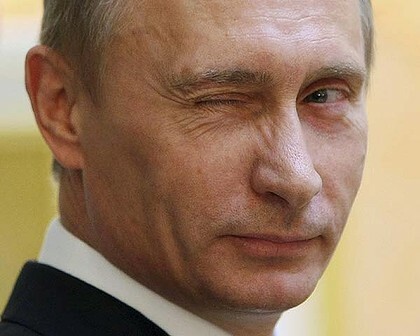 With a clear majority of around 60 percent vote, Vladimir Putin has pronounced win in Russia’s presidential elections. This means he’s returning for a third term after four years as the country’s Prime Minister. Supporters of Putin gathered with Russian flags and banners outside the Kremlin for a concert to celebrate his victory. Slogans on the banner included “Putin – our president” and “We believe in Putin”, but there were indications that some participants had been ordered to attend. There Putin made a short appearance with current President Dmitry Medvedev, thanking his supporters for their support. Putin told supporters at a rally in central Moscow they had won in an open and honest battle. But according to BBC news, opposition groups reported widespread fraud, with many people said to have voted twice. They have called for mass protests in central Moscow today, Monday. Respecting the time and energy you put into your blog and detailed point of view you disclose here. It's great to come across a blog in a rare occasion that is not all the same outdated rehashed material. Fantastic job! I've bookmarked your site and I'm including your blog URL to my Google account now. Moreover, I love your site so much that I want to advertise my own site http://www.emt.co.il on it. I would appreciate you write me at: everythingrainbowhk (AT) gmail.com with your quarterly banner rates. Thank you! Adoring the time and energy you put into your blog and detailed insight you present here. It's pleasing to find a blog every once in a while that is not all the same unwanted rehashed information. Wonderful job! I've bookmarked your site and I'm adding your blog URL to my Bookmarks now. Even more, I respect your blog so much that I am interested to advertise my own site http://www.emt.co.il on yours. I would appreciate you write me at: everythingrainbowhk (AT) gmail.com with your monthly banner prices. Thank you!